A riveting and original debut thriller from a crime writer you won't want to miss, featuring a protagonist you won't be able to forget. Life is about to get much worse. Somebody from Jericho's past has left a decapitated body on his doorstep. The similarity to methods used in his books, his lack of an alibi and his proximity to the victim all lead the detectives handling the case to quickly identify Jericho as the primary suspect. But being framed for murder is the least of Jericho's problems, because this killer is only getting started. The mysterious executioner known as 'The River City Slasher' has made it clear that more innocent people will be killed before Jericho himself is the final victim. Unable to trust the cops, Jericho is forced to examine the darkest parts of his own psyche to catch a killer, save innocent lives, and free himself from his own guilt. 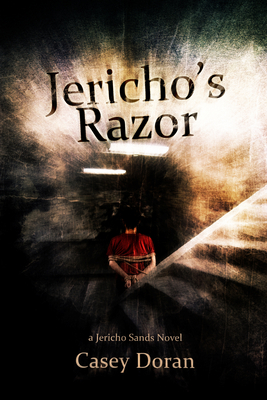 When Jericho finally learns the identity of the killer terrorizing the city, it shocks him in ways he was unprepared for, causing him to doubt all he holds to be true, including his own judgment and motivations. The first book in the Jericho Sands series, Jericho's Razor heralds the debut of a phenomenal new thriller writer in Casey Doran. A native of Southern California, Casey Doran learned to walk on the sands of Redondo Beach and spent his teenage years chasing the perfect wave everywhere from Baja Mexico to Washington State. He's spent time in five star resorts, biker bars run by the Hells Angels and the occasional jail cell, and he's left with stories from all of them. He now lives in central Illinois were he studies philosophy, psychology, and criminology, as well as spending way more time thinking of ways to kill people in gruesome ways than is probably healthy. Casey is currently pursuing a Bachelor's Degree in English Education while working as a deckhand on a riverboat casino and raising a teenage daughter. When he's not writing papers on educational pedagogy, chasing away teenage boys and annoying his neighbors by wailing his Fender Stratocaster to Woodstock levels, he spends the rest of his time finding ways to get Jericho Sands into trouble. Follow Casey on Twitter at @cpdoran.